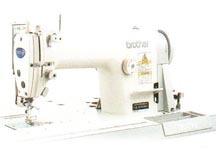 Welcome to Garmentech Machinery Ltd.
As one of the Reliable Garment machine suppliers of Bangladesh, Garmentech Machinery Ltd has been constantly Maintaining the service According to clients Expectations. It has its own team of sales, machine servicing and market development, which are well communicated among each other. Timely delivery with maintaining right brand machine is the main motto of Garmentech machinery ltd. Competitive price is another achievement due its strong sources. Garmentech machinery ltd always welcome the challenging work are the main inspirations to be the best machine supplier of Bangladesh. Copyright © Garmentech Machinery Ltd.